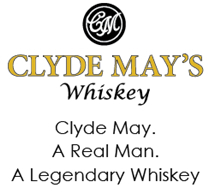 Clyde May's Whiskey is making its New York City soft launch with UANYC! Please join UANYC for a networking and tasting event for Clyde May's Alabama-style whiskey on Wednesday, May 8 from 6:30-8:30 p.m. at The Ainsworth. A complimentary Clyde May's cocktail will be offered along with fresh bites as this new whiskey, with roots in Bullock County, Ala., is introduced to New York City for the first time. Members of Clyde May's staff will be on hand to share some whiskey knowledge while chapter members enjoy a wonderful evening of networking.